Embolization isn’t exactly an everyday word, but many Americans learned about it when Melania Trump had such a procedure in May. “This morning, First Lady Melania Trump underwent an embolization procedure to treat a benign kidney condition,” the White House communications director announced on May 14. The statement said the procedure was successful and there were no complications. 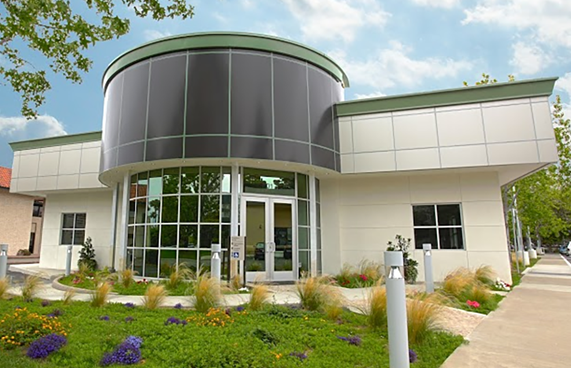 Interventional radiology (IR) is a minimally invasive, image-guided treatment of medical conditions that previously required open surgery. IR was first used in the early 1960s by Dr. Charles Dotter, who invented angioplasty and the catheter-delivered stent, which were first used to treat peripheral arterial disease. IR is also used to treat uterine fibroid tumors in women and enlarged prostates in men. 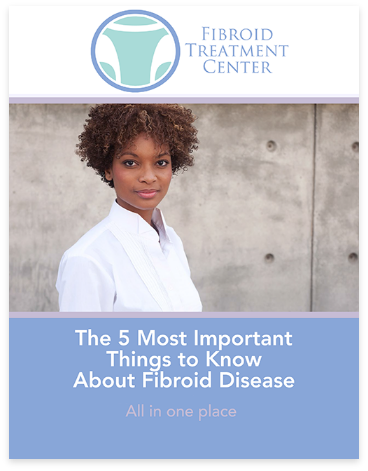 Fibroids can cause pain and bleeding from a woman’s uterus, and traditional treatment has been to remove the uterus. Preserving the uterus means the patient may be able to bear children after the procedure. It also means fewer complications and quicker recovery. 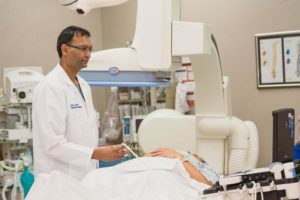 Likewise for noncancerous prostate enlargement, “Prostate artery embolization (PAE), recently introduced about three years ago, is a minimally invasive procedure that has been shown to be equivalent to the current gold standard surgical treatment options in the recent studies,” Jain says. Using X-rays and other imaging techniques like CAT scans and MRI scans to see inside the body, an interventional radiologist can treat a variety of conditions — including cardiovascular disease and cancer — without cutting. In embolization, Jain explains, a doctor selects a blood vessel supplying the target tissue and injects a substance to block blood flow to that area. “These embolizing agents can be temporary, or permanent, and there are a multitude of embolic agents available, each with different properties and applications,” Jain says. During a UFE or PAE, the interventional radiologist inserts a thin tube into an artery in the wrist or groin, then uses X-ray imaging to guide the tube to the uterine or prostate artery, where tiny spheres are injected into blood vessels supplying the target tissue. They block blood flow, causing the fibroids or prostate to shrink, and relieving symptoms.